Last year, Microsoft released a Your Phone app for Windows 10 that made it possible for people to read their text messages from their computer. Now, Microsoft is testing a feature update to that same app that would allow Android users to mirror their apps to their computer, too. The update is currently in testing with Windows Insiders and it requires the latest test builds of both Windows 10 and the Your Phone app. 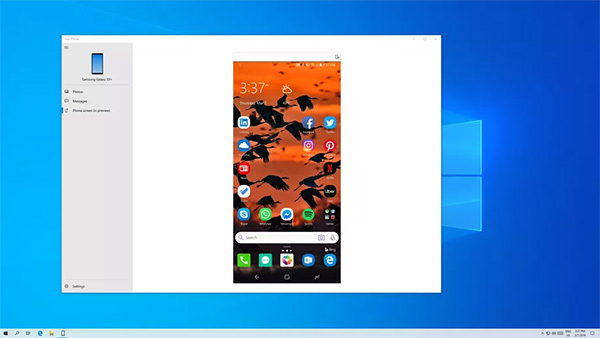 The app itself mirrors the phone’s display in over on a PC, allowing users to see exactly what is going on. According to an official post over at the Microsoft Community forums, the company is able to do this via Bluetooth and Low Energy Peripheral mode. That, unfortunately, means that not all PCs are going to support the feature although the Surface Go is on that list, with that machine also the first to support the current beta. Even if you are on the right beta tracks and have a Surface Go, you still might be out of luck currently. Only those with Samsung Galaxy S8, S8 Plus, S9, or S9 Plus handsets are able to test the updated Your Phone app, although common sense would dictate that this will be expanded once the app comes out of beta. We’re not entirely sure how useful this will be for most people beyond a slightly sideways way of bringing Instagram to the PC. 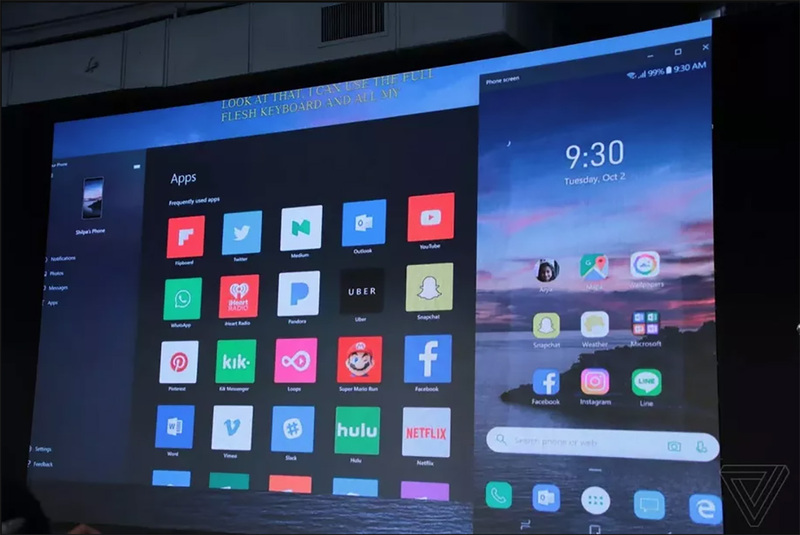 Still, there’s a user for every app and if screen mirroring your Android phone to a PC is something you’ve been hankering for, you’re in luck.